We wouldn’t recommend reporting ANY incident(s) to US-CERT – They will not be able to provide you any assistance and/or help. 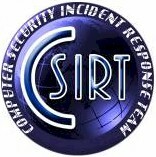 CSIRT provides 24x7 Computer Security Incident Response Services to any user, company, government agency or organization. CSIRT provides a reliable and trusted single point of contact for reporting computer security incidents worldwide. CSIRT provides the means for reporting incidents and for disseminating important incident-related information. CSIRT is a privately held company located in Waldorf, MD. CSIRT began business in 2001. Many businesses have not given adequate consideration to security issues during normal daily operations. CSIRT serves to raise awareness among its customers of computer security issues, and provides information for secure protection of critical computing infrastructure and equipment against potential organized computer attacks. Organizations must share in the responsibility of coordinating their response efforts with other similar institutions. Gathering intelligence information from all sources is a critical part of information infrastructure protection. Networking in a trusted environment and sharing incident information and detection and response techniques can play an important role in identifying and correcting weaknesses. While the risks to computer security have increased, businesses have also become more dependent on computers. Many systems in widespread use today do not contain safeguards to guarantee protection from these threats. Additionally, as systems become more complex, they are more prone to vulnerabilities that can increase the risk of malicious exploitation. Due to greater availability of computers, users are often de facto system managers, however, many have neither the requisite skills nor time to manage their systems effectively. These factors make it clear that businesses need to support their computer security capabilities before they suffer from serious computer security problems that can harm their mission, result in significant expense, and tarnish their image. By establishing this site, we hope to provide security professionals with the means to report, discuss, and disseminate computer security related information to others around the world. This site is intended to provide information for reporting security incidents and information on technical resources, and to disseminate information quickly, accurately, and efficiently. We concentrate the coordination of incident handling, thereby eliminating duplication of effort. Our focus is to mitigate the potentially serious effects of a severe computer security-related problem. To achieve this goal, we concentrate our efforts not only on the capability to react to incidents but also the resources to alert and inform its constituency. Daily News and Alerts of current virus threats and trend reports.